Boynton Beach Oriental Rug Cleaning Pros is your trusted local source for all Oriental rug cleaning, repairs, and restorations in Palm Beach, Florida. Our staff understands that homes can never be complete without that personalizing element us owners add to them, be it in the form of paintings, decorative ornaments or rugs. For those who love simplistic and traditional yet unique additions to interiors, there is nothing better than an Oriental rug to give their house the perfect finishing touch. 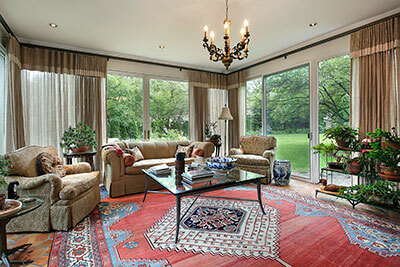 Your Oriental rug can suffer from several types of damage. Water damage, a common issue with Oriental rugs, can cause rugs that have a cotton warp or weft foundation to become weakened and even rot if proper care steps are not taken—especially if the rug continues getting wet without being properly dried. This can often occur if the rug simply isn't stored in a proper place. Similarly, moths or beetles may damage your rugs if they lay eggs in them, the larvae of whom may consume wool. This usually happens when the rug isn't frequently cleaned or is improperly stored. While vacuuming is the most common method of cleaning rugs at home, very few people realize that this can also cause extensive damage. If the brush being used is not suited for your rug, not correctly angled or is used too harshly, vacuuming may result in the rug wearing out. Rug cleaning substances may also damage your antique rug through harsh acid-based chemicals that can damage the fabrics. You may not realize it, but your daily activities could actually be ruining your precious hand-knotted rugs. Since direct sunlight can result in discoloration of the wool, you can prevent your rugs from being damaged by the sun by putting up sheer drapes or moving them out of sunlight. Sun fading can be caused by exposure to ultraviolet rays and sheer drapes can help prevent this. 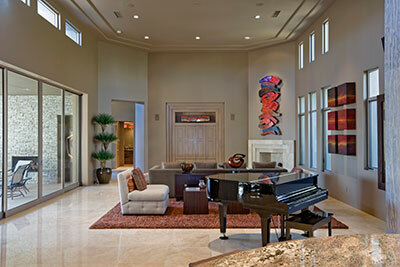 Make sure you store your rugs in an airtight packaging, preferably vacuum sealed, and keep them in a dry place. Storing them in a damp area can cause damage by creating moisture within the sealed rug. 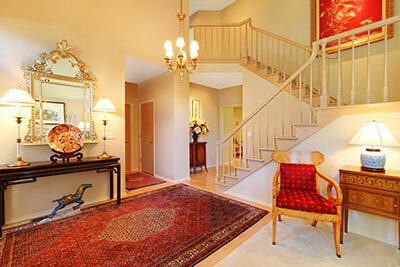 Avoid using rugs on an uneven floor, as this can result in wearing and tearing of the rug. Moreover, try to frequently turn or flip the rug for a more even wear out and a less obvious color change. To prevent your pets, particularly cats and dogs, from scratching your rugs and sitting on them, spray a mixture of water and vinegar lightly on the rug and let it air dry. This will keep them from sitting on it or scratching it. ​Professional cleaning services are ideal for something as delicate as Oriental rugs, which can be harmed easily by off-the-shelf products available in the store. These products contain large amounts of acid, bleach and strong chemicals that can discolor the fabric as well as the foundation of a rug. Rug Shampoo: We use foaming shampoos to generate high volumes of stable foam that allows for maximum cleaning power without risking mold or mud occurring in the vulnerable foundation of the rug. Other cleaning companies might use shampooing methods that are obsolete and unsuitable for a fine Oriental rug as they can cause re-soiling and may leave a yellow cast or a slight residual color on your rug that will never wash away. Absorbent Cleaners: These cleaners do not use water in the process and instead act as dry shampoos. They are worked into the rug in order to attract and collect all of the soil and dirt – this residual is then vacuumed from the surface of the rug, cleaning it inside and out. Furthermore, these solutions use few chemicals and are mostly organic, making them less damaging to the rug's fabrics. Carbonated Cleaning: This method incorporates the use of water-based rug cleaning techniques and combines them with driving brushes to thoroughly clean even the dirtiest rug. This method isn't always preferred, however, as using it on too delicate of a fabric can cause the rug to end up misshaped or shrunken – this is why you should let us handle your expensive rugs, as most cleaners won't be able to tell the optimal cleaning method for a specific rug. Steam Cleaning: This method of rug cleaning involves high-pressure water being sprayed onto a rug, which is immediately vacuumed by a slot in front of it. This prevents water being absorbed into the rug while forcing dirt out. In the Palm Beach area, this method is commonly used on all but the most delicate rugs that require hand washing. If you’re in need of a high quality rug cleaning using only the best and most modern techniques, there's only one place in Palm Beach that can satisfy your needs. 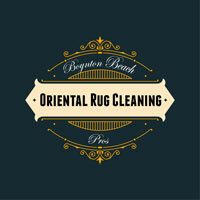 Give us a call at Boynton Beach Oriental Rug Cleaning Pros to give your rugs the best possible care they deserve. We won’t just provide you with a thorough cleaning, but we’ll also ensure they stay in pristine condition for years to come.